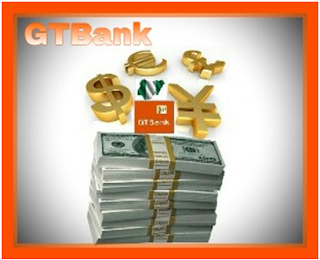 How can I Transfer Money with GTBank Domiciliary Account (Dollars, Pounds, Euros etc)? - There has been this huge issue of inability to transfer money from domiciliary account to other accounts outside the country facing us for a while. But Congrats!! This issue has been rectified. GTBank has announced their current upgrade which is the ability to transfer funds from a domiciliary account to a beneficiary abroad or within the country. Excited?? Yes!! It works regardless of it's GTB to GTBank or to other Banks within the country or abroad, operating domiciliary account. And it's quite easy, no long processes, no hitch in the system. Smooth and easy. I must commend GTBank for this funds Upgrade. This service benefits every GTBank dom (domiciliary) account owner. Funds can now be transferred outside the country easily in any currency such as dollars, pounds, Euros to beneficiaries in any part of the world. There are two ways to transfer money from your domiciliary account to beneficiaries. With the aid of your GTBANK's mobile app or by visiting the official internet banking website, log into your GTBANK's internet banking account by entering your username or ID. Your Username is your Email or ID which you can use to log in. Click on new page and complete the form on the FX transfer page. A receipt would be automatically generated after payment, print the receipt after this session (if you want to). With GTBANK's dorm funded transfer, there is a privilege of sending up to $10,000 or it's equivalent in any currency of your choice DAILY and $50,000 in any equivalent currency WEEKLY. best domiciliary account in nigeria - GTBank, Diamond Bank and FCMB at the moment of publishing this article. If any changes occur over time, edits will be applied/updated here.